: Starting today, pages where content is not easily accessible to a user on the transition from the mobile search results may not rank as high. As we said, this new signal is just one of hundreds of signals that are used in ranking and the intent of the search query is still a very strong signal, so a page may still rank highly if it has great, relevant content. Please head to the webmaster forums if you have any questions. 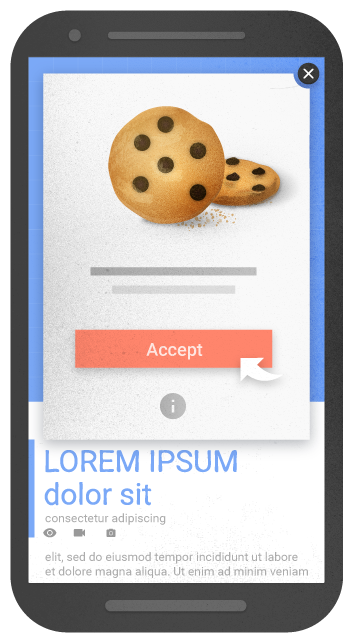 We previously explored a signal that checked for interstitials that ask a user to install a mobile app. As we continued our development efforts, we saw the need to broaden our focus to interstitials more generally. 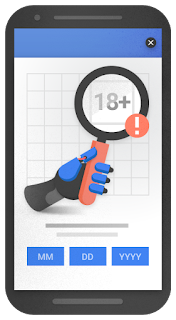 Accordingly, to avoid duplication in our signals, we've removed the check for app-install interstitials from the mobile-friendly test and have incorporated it into this new signal in Search. Remember, this new signal is just one of hundreds of signals that are used in ranking. The intent of the search query is still a very strong signal, so a page may still rank highly if it has great, relevant content. As always, if you have any questions or feedback, please visit our webmaster forums. last year, we have been focused on supporting more types of reviews, like restaurant reviews, cafes, or any other type of a local business. Recently we’ve announced the availability of critic reviews for local businesses. 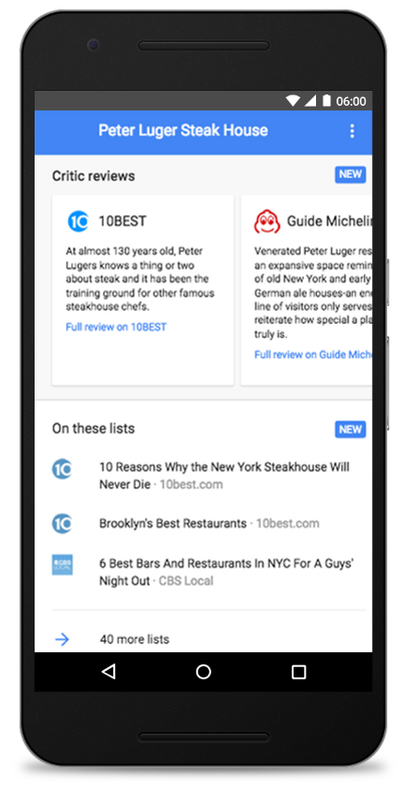 By incorporating structured data to their sites, publishers can promote their content on local Knowledge Graph cards and users can enjoy a range of reviews and opinions. 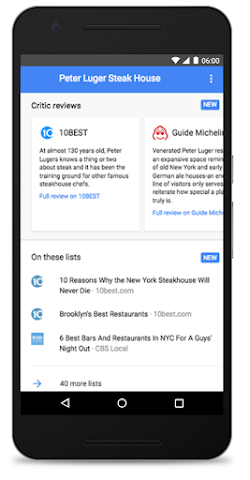 Critic reviews are available across mobile, tablet and desktop, allowing publishers to increase the visibility of their reviews and expose their reviews to new audiences, whenever a local Knowledge Graph card is surfaced. 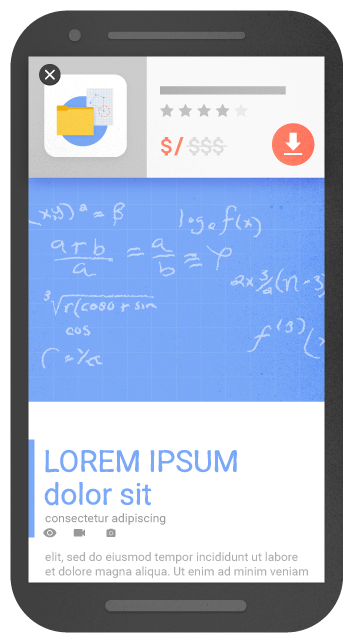 English reviews for businesses in the US are already supported and we’ll very soon support many other languages and countries. Publishers with critic reviews for local entities can get up and running by selecting snippets of reviews from their sites and annotating them and the associated business with schema.org markup. 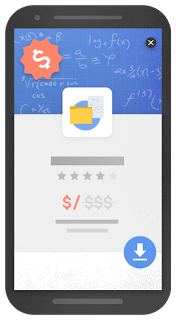 This process, detailed in our critic reviews markup instructions, allows publishers to communicate to Google which snippet they prefer, what URL is associated with the review and other metadata about the local business that allows us to ensure that we’re showing the right review for the right entity. Google can understand a variety of markup formats, including the JSON-LD data format, which makes it easier than ever to incorporate structured data about reviews into webpages! 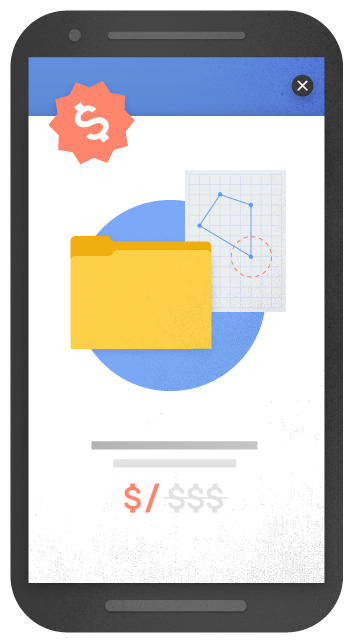 Publishers can get started here. And as always, if you have any questions, please visit our webmaster forums. Since the launch of critic reviews last year, we have been focused on supporting more types of reviews, like restaurant reviews, cafes, or any other type of a local business. Recently we’ve announced the availability of critic reviews for local businesses. 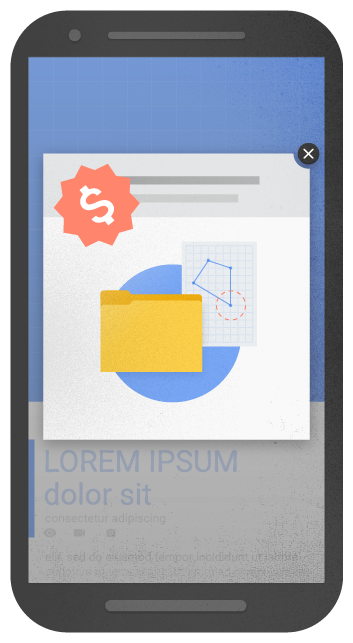 By incorporating structured data to their sites, publishers can promote their content on local Knowledge Graph cards and users can enjoy a range of reviews and opinions.